Nakummek to everyone who submitted story ideas for the Labrador Doc Project Call for Submissions. We greatly appreciate the effort that every applicant put into their submissions. We reviewed 17 submissions with producers at the NFB, along with our co-producer at LJH Films, and a Labrador community member. It was no easy task to make a selection as there were many great submissions! Heather’s grandmother, Evelyn Campbell, was one of the first accredited Inuk teachers from Labrador. She trained in St. Anthony and moved back to North West River area to teach, and subsequently back to Rigolet. In the curriculum, her Grandmother thought it was important to included Labrador folk songs and culture. This film will explore the life of her grandmother, her connections to Rigolet, and the contributions this pioneering woman made to education of Labrador youth. 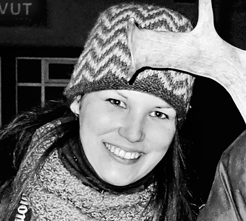 Heather Campbell is from Rigolet, Nunatsiavut (Northern Labrador). Campbell has a B.F.A from Sir Wilfred Grenfell College School of Fine Art, Memorial University of Newfoundland. 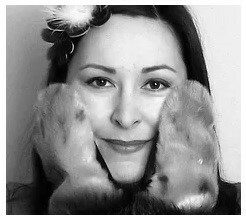 She is an Inuit art consultant, illustrator, and artist and has also worked as a Curatorial Assistant at the Inuit Art Centre of Indigenous and Northern Affairs Canada. Heather was a former member of the board of directors of the artist run centre Gallery 101, as well as the board of the Artist Run Centres and Collectives of Ontario. 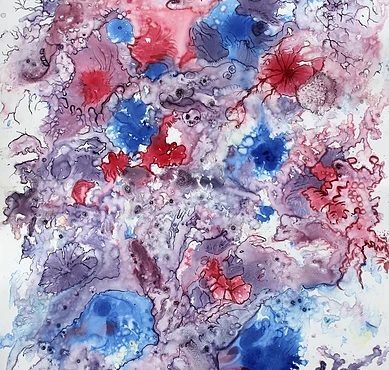 Her work was recently featured on the cover of Inuit Art Quarterly, and her paintings and drawings can be found in numerous public and private collections across Canada. 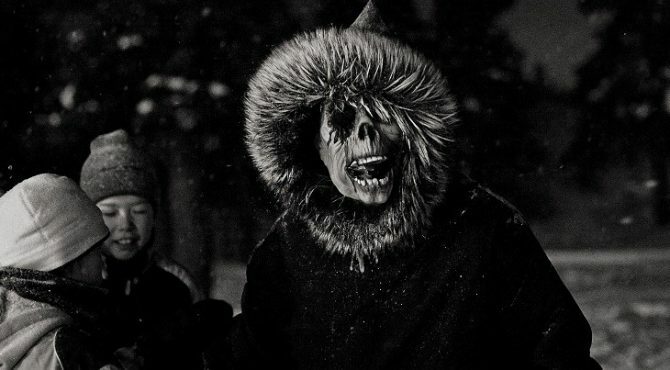 On January 6th each year in the community of Nain, people gather to await the Nalujuit (plural for Nalujuk): masked figures that represent startling characters said to come in from the Eastern sea ice and chase community members. It’s a tradition that is truly unique, and mostly unheard of by anyone living outside of Nain or Labrador. Jennie has been researching and photographing Nalujuk Night for the past 8 years. In this film we will learn what Nalujuk Night is, the role it serves in the community, and how a ‘frightening’ chase can be subdued by a specific song. Jennie Williams was born and raised in Labrador and currently lives in Nain. She is an accomplished photographer who specializes in photographing people in their everyday environments and circumstances. She also uses photography to document practices and traditions that are celebrated today in Labrador. 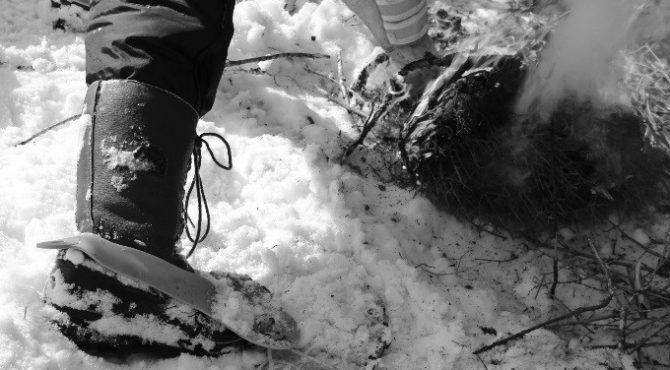 Recent bodies of work reveal her deep interest and love for Inuit cultural traditions. She has an exhibit opening this month in North West River, Labrador where a series of her photos will be shown that she worked on during a residency at The Rooms. The portrait series is called “A Way of Life” and it shows the differences of the everyday lives of Labrador Inuit living in the North (Nain) and in the city (St.John’s). When the oldest mission in North America shut down in 1959 (the Moravian mission in Hebron, est. 1831), its residents were forcibly resettled to other communities. This documentary is about the relocation of Inuit from Hebron/Nutak to communities along the coast. One of the towns where they were relocated was Makkovik. This film will tell the story of how the people who were relocated felt about the move, how they were treated once they were moved, and about the ramifications of the displacement that last to this day. 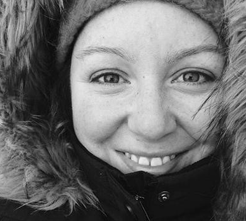 Holly Andersen is a photographer from Makkovik. Holly is interested in photography’s ability to preserve moments in time, or capture minute details. Her photographic practice encompasses a wide range of subjects including candid and portraiture photography of family and friends, macro photography of insects and nature, and landscape photography including local wildlife. Andersen employs photography for capturing memories as well as creating images whose primary function is aesthetic. Andersen also revels in being able to communicate the emotions of a situation through photography. 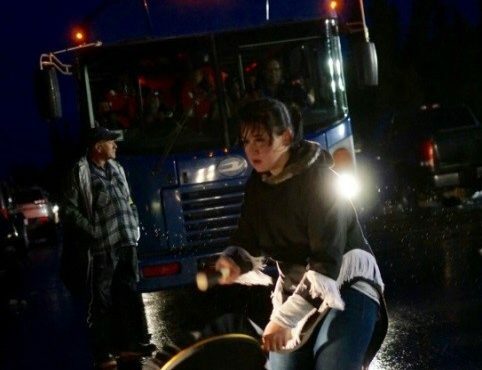 ©Ossie Michelin (above) Thirteen-year-old Allyson Gear does a traditional drum dance, stopping a bus heading to Muskrat Falls in 2016. Amy Winters of Happy Valley Goose Bay did not grow up with traditional Inuit drum dancing, but when she first heard the sounds of the drums banging and reverberating and watched drum dancers move rhythmically across the floor she knew this is what she wanted to do. Drum Dancers will follow Amy Winters and the Goose Bay Drum Dancers as they spread the love of drum dancing and find strength in drumming, in their culture, and in each other, as they practice and perform in their home community. The Nunatsiavummiut living in Goose Bay, Amy, Destiny Solomon, Ricky Daniels, and Simone Daniels have taken their coastal culture and implanted it in the heart of central Labrador where many other young Inuit are looking for identity and belonging. They were once the youth drum group, but now as young adults and young parents they have graduated on to being fully fledged drummers. This film will explore the revival of Labrador Inuit drum dancing. 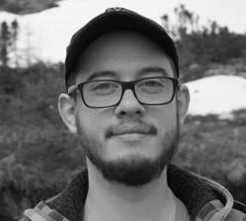 Ossie Michelin is a Montreal-based freelance journalist from North West River, Labrador. He comes from a long line of storytellers, and continues this tradition in his own way. He grew up going off on the land, hunting, trapping, fishing, and berry picking. His father was an Inuk trapper in his hometown. The focus of his storytelling is Northern and Indigenous issues. A prolific writer, he has written for many publications, including the Inuit Art Quarterly, CBC News and Canadian Art. He has worked for APTN for 5 years, and collaborated with Canadian Geographic and CBC Indigenous.